New Ontario Progressive Conservative Leader Doug Ford fights for "the little guy" and businesses, which are messages that resonate with voters in Waterloo region, says Kitchener-Conestoga MPP Michael Harris. After a "rollercoaster ride" of a Progressive Conservative leadership race, Kitchener-Conestoga MPP Michael Harris says it's time to unite under new leader Doug Ford. Harris, who was vocal in his support for Ford's rival Christine Elliott, said the party is "now united in one, common goal and that's to defeat Kathleen Wynne on June the 7th." Ford, a former Toronto city councillor, won the leadership race after narrowly defeating Elliott. Ford's win has raised concerns from Tecumseh Mayor Gary McNamara, who said the former councillor's win shows the party is too "Toronto-centric." But Harris, the PC transportation critic, argued Ford will appeal to voters across the province. "His message of respect for the taxpayer, fighting for the little guy, resonate in communities just like our own," Harris said, adding he spoke to Ford on the phone Monday morning and he believes the new leader will be open to hearing about issues from ridings besides those in the GTA. 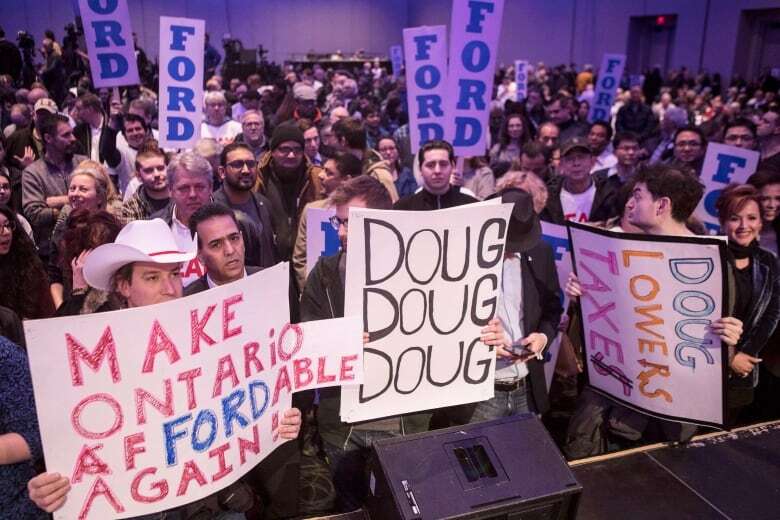 He said Ford won't be "taxing everything that moves like Kathleen Wynne does." "We're going to cap expenses and going to be open for trade, and I think that message works well here," he added. Speaking at a Liberal rally on Sunday, Wynne noted she and Ford "disagree about many things." 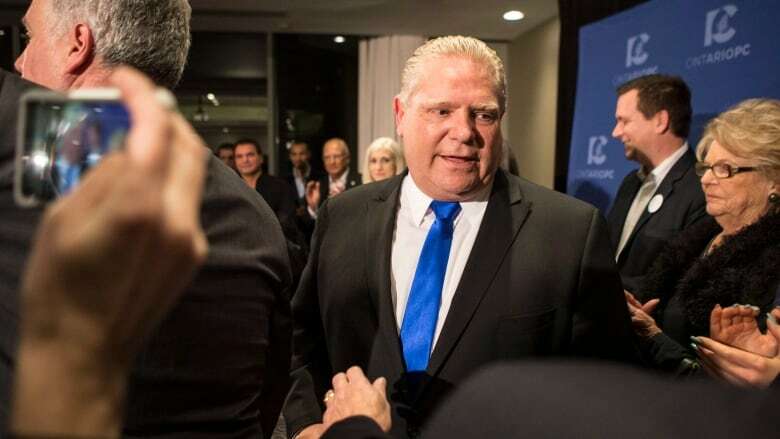 Jason Roy, an associate professor of political science at Wilfrid Laurier University, said Ford's entrance into the provincial election means voters will see very different leaders at the head of the main parties. Ford may get support from Toronto business owners and he certainly has name recognition — something former leader Patrick Brown was accused of not having — but whether he can get support from outside the GTA will depend on his campaign, Roy said. "In part, that's going to depend on the policies that come forward and how the campaign plays out," he said. "He has to be able to put some detail around these policies and how he's going to do it so the voters have something they can say, OK, this may or may not work for me," Roy said. The question also remains whether Ford can garner support not just from party faithful, but also from those who are on the fence when it comes to who they'll vote for on June 7. Those who have considered voting PC may "start to question whether or not that is a smart decision," Roy said. "Whether or not his ideology is going to fit with others in different areas around the province remains to be seen." Do the Ontario PCs need Doug Ford to win in Toronto?